This is Charlotte. I got her from a Menagerist Goblin during Season 11. 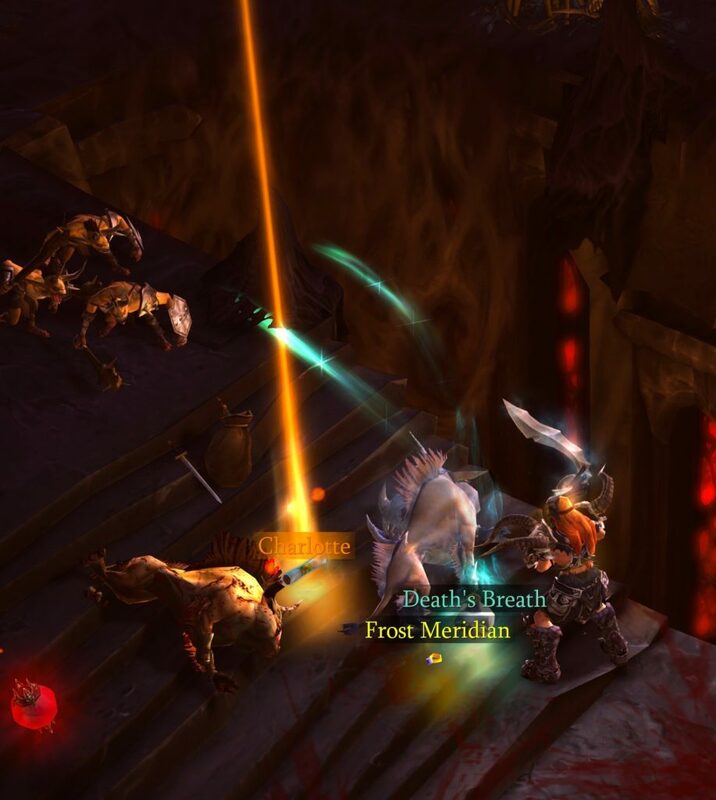 The Menagerist Goblins are the only kind of goblin that drop pets. I think they always drop a pet – but the kind of pet appears to be random. The flavor text for this pet says: She just wants a big, multi-armed hug. 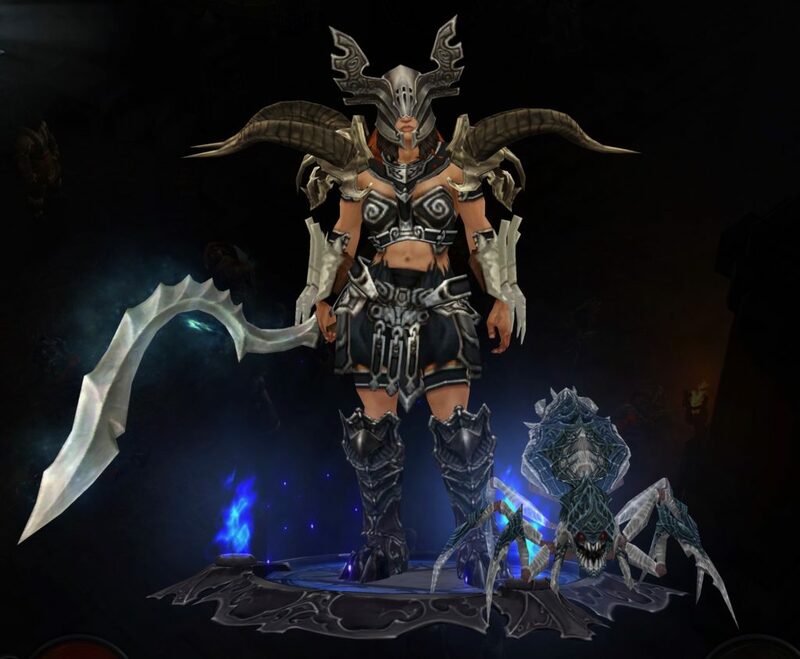 When Menagerist Goblins drop a pet, the item dropped will look like a Legendary item. The Charlotte item will automatically go into the players bag when it is picked up (just like all the other loot does.) 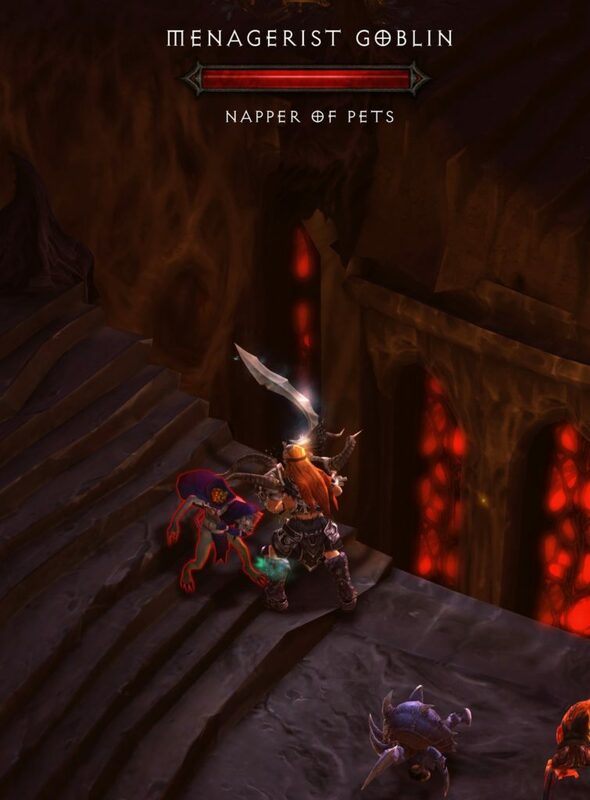 Players need to click on the pet item after it is in the bag. It will disappear and go into the player’s Wardrobe. 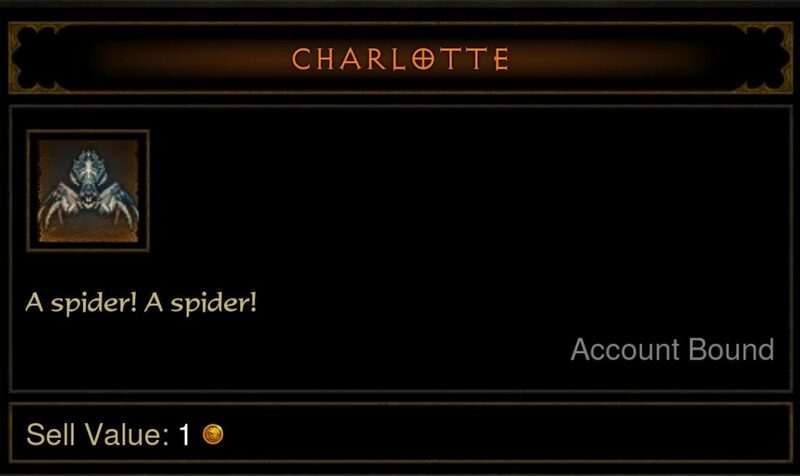 The flavor text on the Charlotte item says: A spider! A spider! 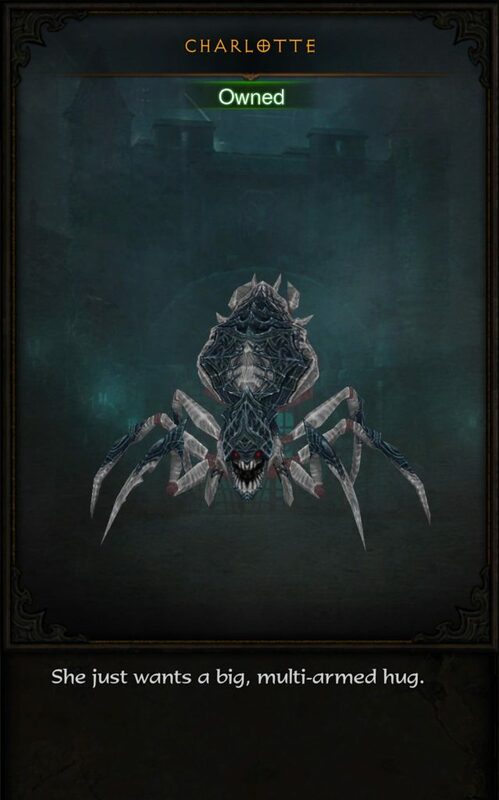 This pet is a reference to Charlotte the spider in the children’s book Charlotte’s Web by E.B. White. In the book, Charlotte is a wise, grey spider who becomes friends with Wilber the pig. 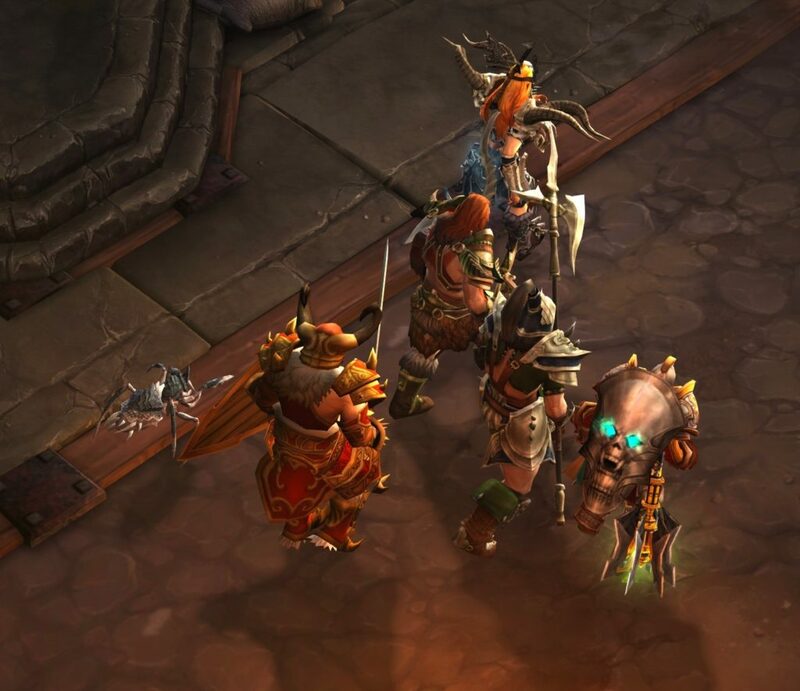 In the screenshot above, Charlotte appears to be trying to introduce herself to one of my Barbarian’s Ancient friends. Charlotte eventually settled in with the group and is happily running along beside them. Charlotte is a medium sized spider. She’s much smaller than Queen Araneae. Charlotte might be about the same size as the corpse spiders that the Witch Doctor throws at enemies. 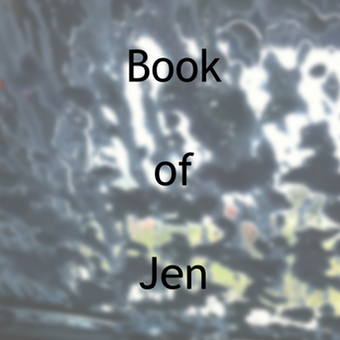 Charlotte is a post written by Jen Thorpe on Book of Jen and is not allowed to be copied to other sites. I hate spiders, but I’ll take her. She’s almost cute. I happen to love spiders – but am very aware that most people hate them. 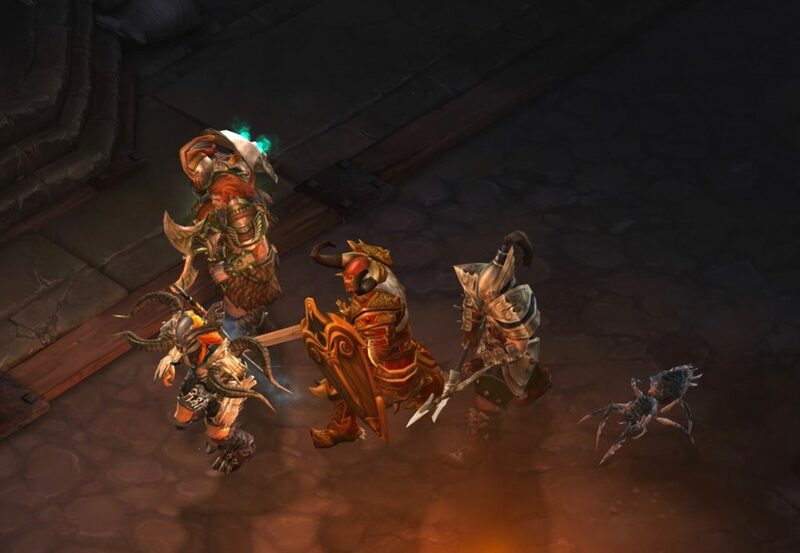 That’s ok. Charlotte is another example of ugly/cute that the Diablo team does so well with their pets. Also, I think naming her Charlotte might make people who read the book (or saw the movie) like Charlotte a bit more than they otherwise would.